View courses for the Chetwood Cup, Beryl Cup, Moonstone Cup, Mathom Cup, Mithril Cup, Longbottom Leaf Cup, or the 2013 Bree Cup Championship Race. 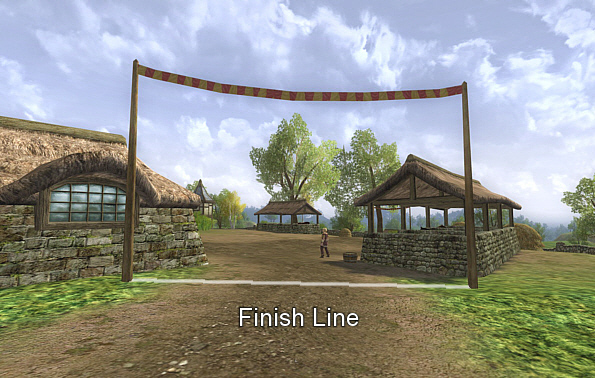 The race begins at the first gate of the Hengstacer Farms race course. Checkpoint One – Through the third gate of the farm’s race course. 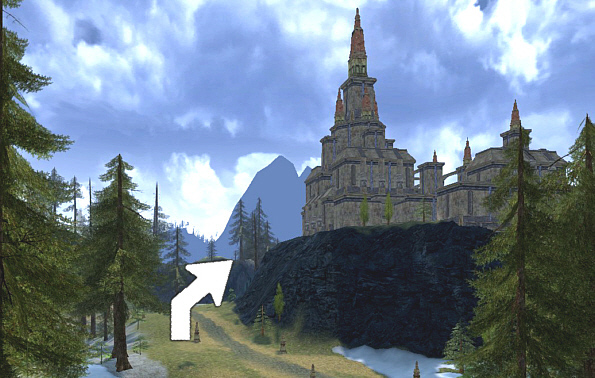 Checkpoint Two – Counter-clockwise turn around the ruined stones by the broken wall. 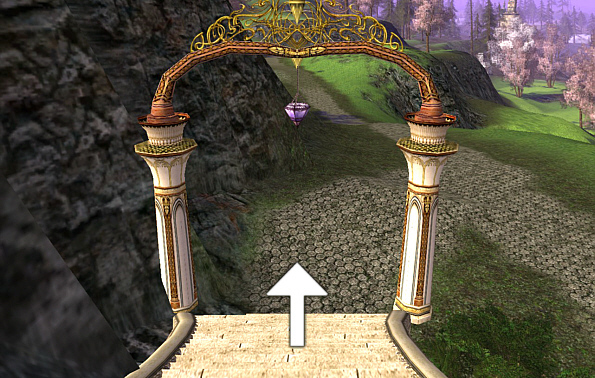 Riders must not jump over the stones or go through them, but must pass with all stones on their left. 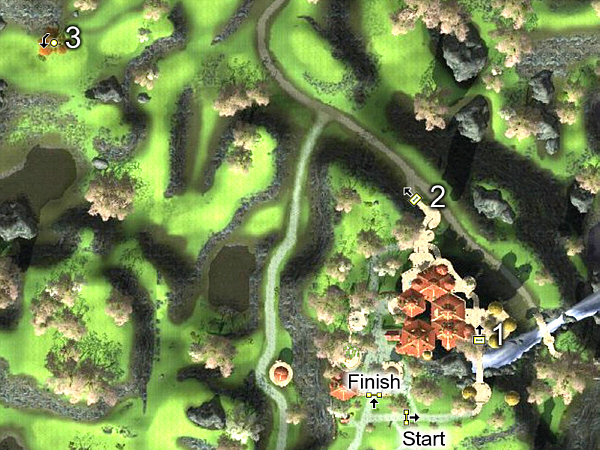 Checkpoint Three – Counter-clockwise around the tree at the top of the cliff near the pond. Checkpoint three view from beneath the cliff and pond. 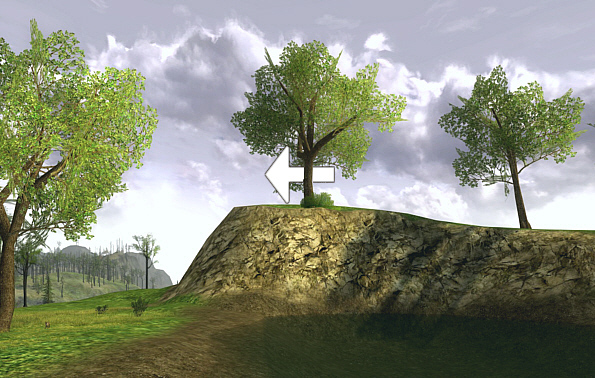 Checkpoint Four – Counter-clockwise around the tree by the row of exposed rock. 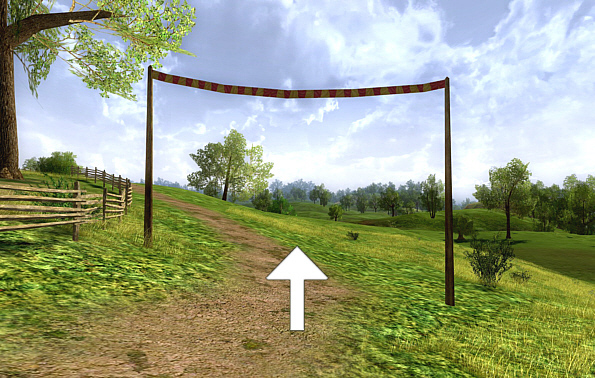 The finish is an imaginary line between the two gate posts at the end of the farm’s race course. 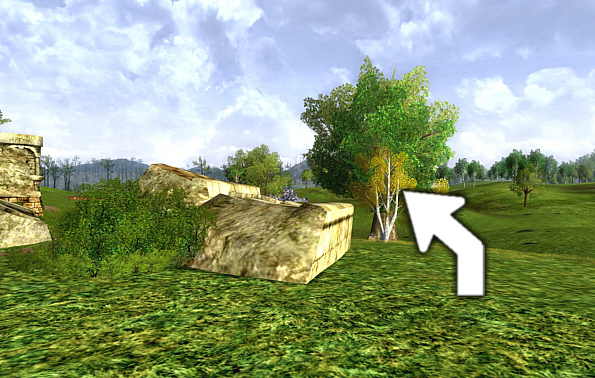 Riders do not need to follow the Hengstacer farm’s race course. 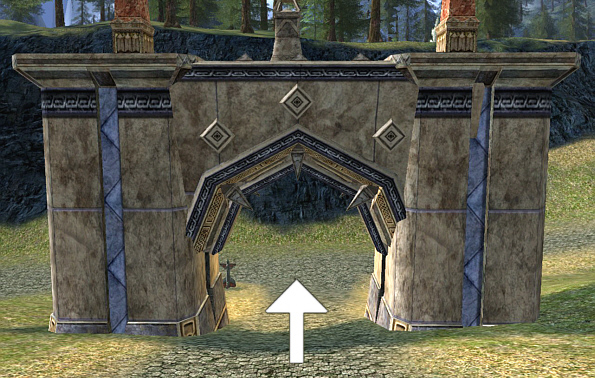 They must only pass through the first, third and last gates. The race begins at the pillars just east down the road from the stables. 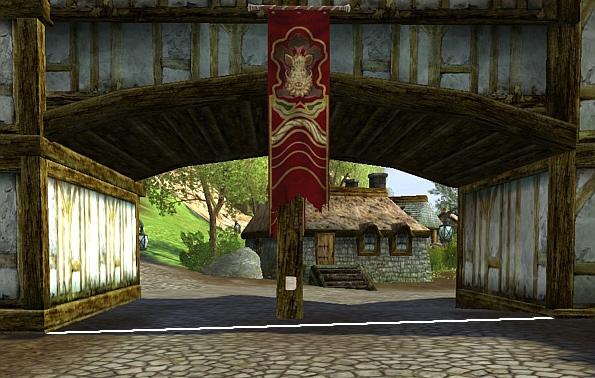 Checkpoint One – Through the gate in the upper city near Hithbar and Bregar. Riders must pass through this gate only once. Do not turn back across the bridge. 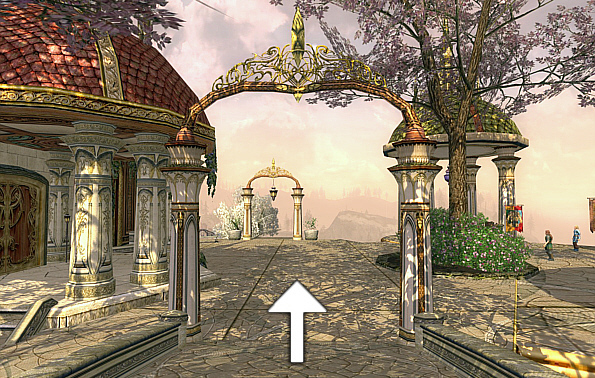 Checkpoint Two – Through the gate at the north end of the city. Riders must pass through this gate only once. Do not turn back up the stairs. 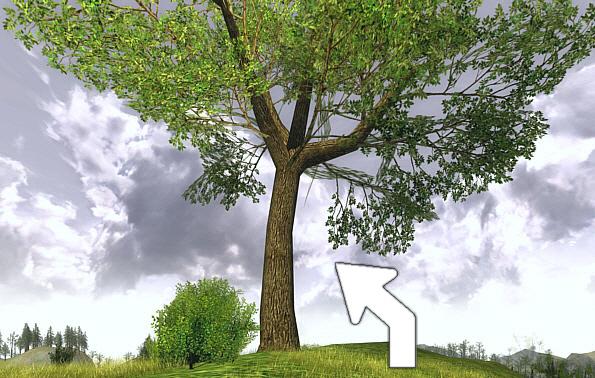 Checkpoint Three – Counter-clockwise around the Autumn Tree northwest of the city. 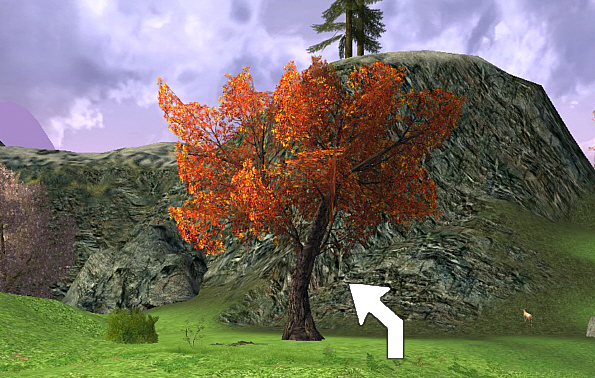 This is the only red-orange tree in the area. 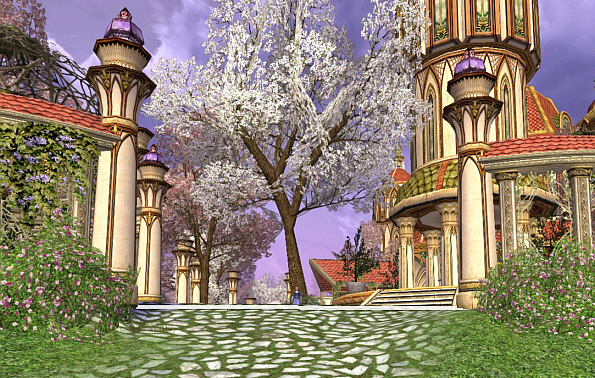 The finish is an imaginary line between the two posts leading into the courtyard near Badennas and the fish fountain. 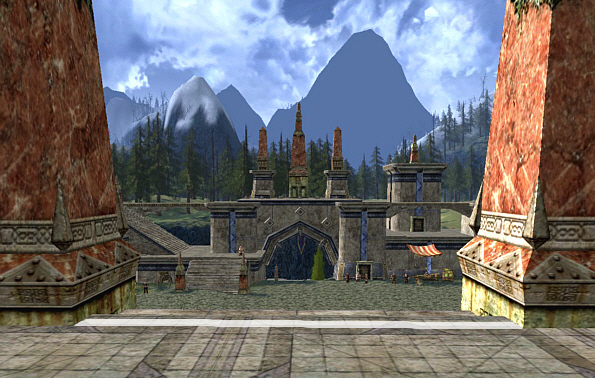 The race begins between the pillars at the top of the stairs in the center of the city. Checkpoint One – Through the gate on the west road leading into the city. 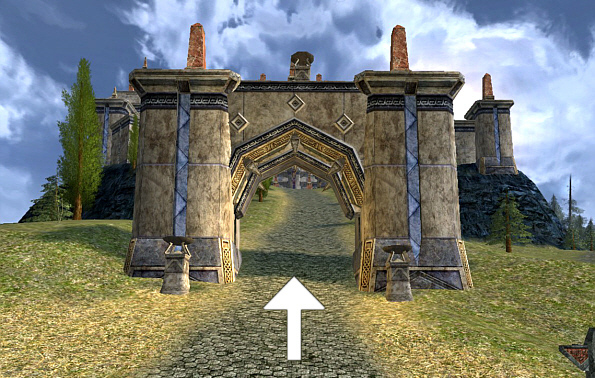 Riders must past west through the gate (right to left on the map). Checkpoint Two – Clockwise around the tower building at the south end of Ringdale. 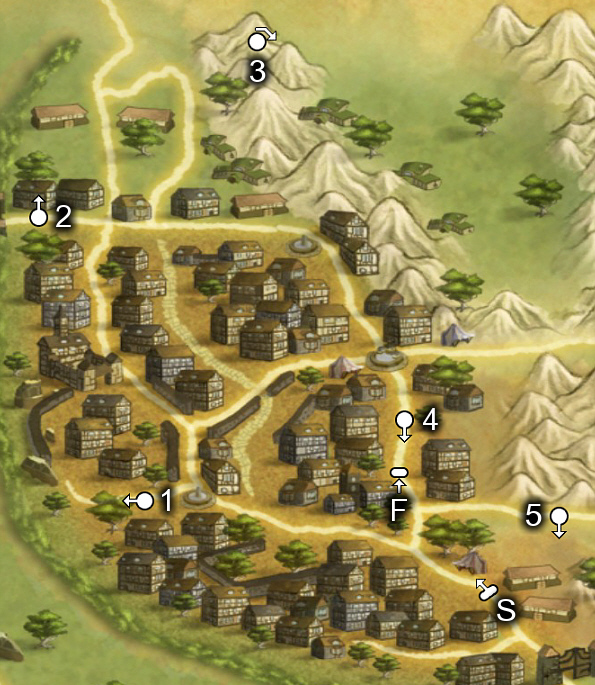 Checkpoint Three – Behind the city. Riders must pass clockwise around the east side (back) of the city. Checkpoint Four – Through the gate on the west road leading into the city. 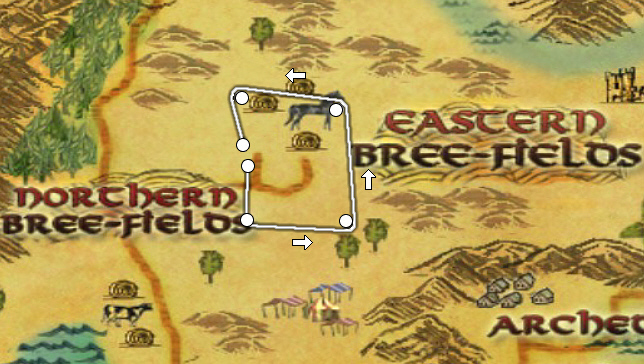 Riders must pass east through the gate (left to right on the map). 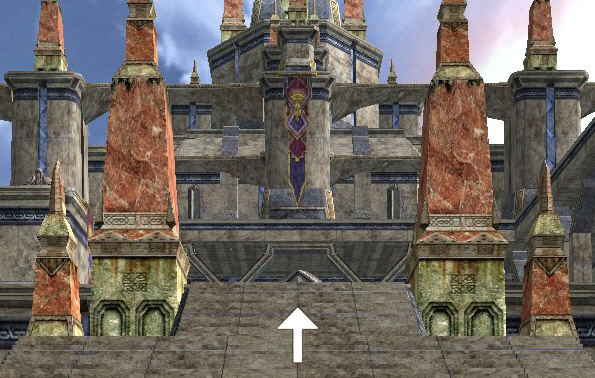 The finish is an imaginary line between the eastern edges of the pillars at the top of the stairs. 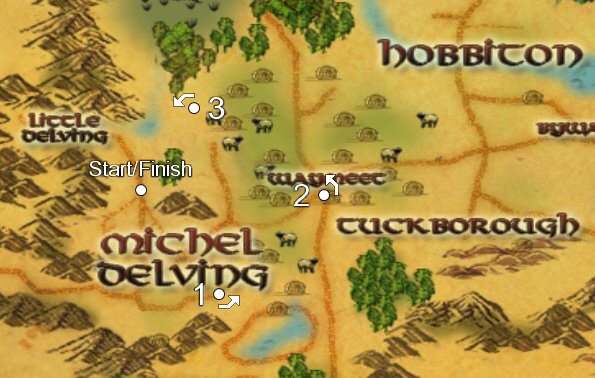 The race begins at the street lamps on the northwest end of town, near a hungry hobbit and a handful of cows. These particular street lamps are next to trees. The start line is an imaginary line drawn between the posts. Checkpoint One – Counter-clockwise around the stand-alone grain silo in the South Fields. 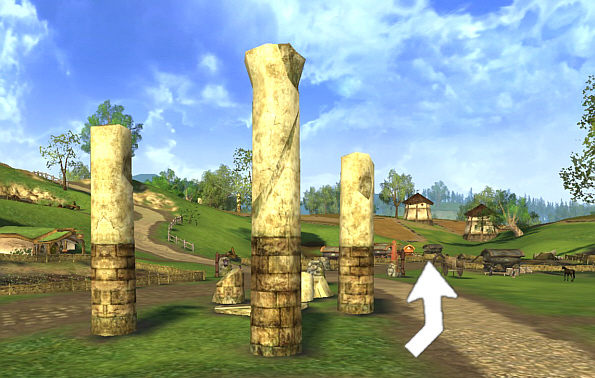 Checkpoint Two – Counter-clockwise around the trio of pillars in Waymeet. Riders must pass outside all three pillars. 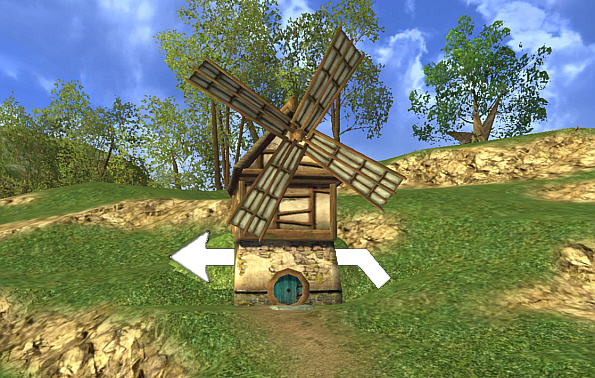 Checkpoint Three – Counter-clockwise around the windmill on the hill at Sandson’s Farm. The finish line is the same as the start line. Riders will approach from the north. 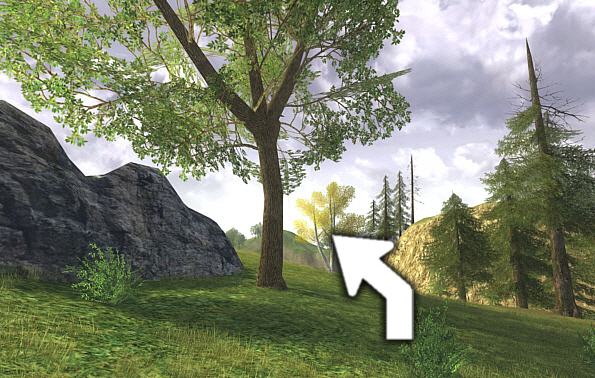 Special Note: You are not allowed to double-back through any checkpoint. 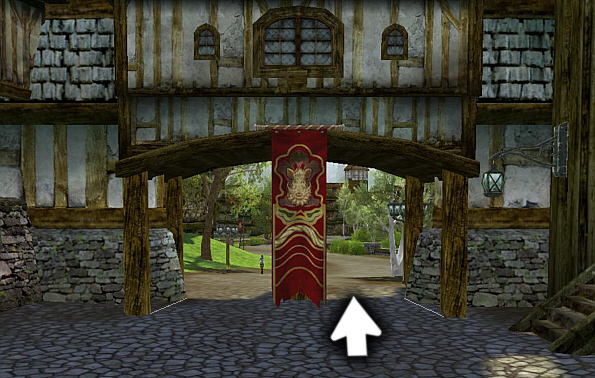 For example, once you pass through the Mud Gate once, you are not allowed to pass through it again. The race begins at the Woodsman’s Gate. 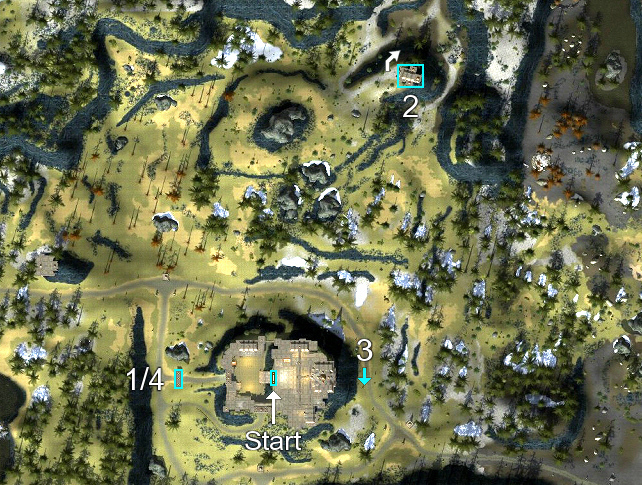 The start is an imaginary line at the northern edge of the gate. 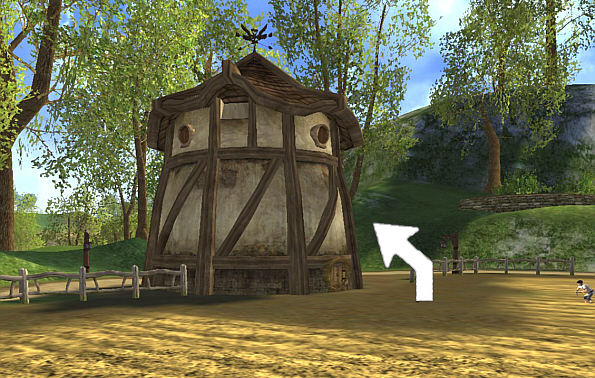 Checkpoint One – Ride west through the Mud Gate, on either side of the center wood posts. 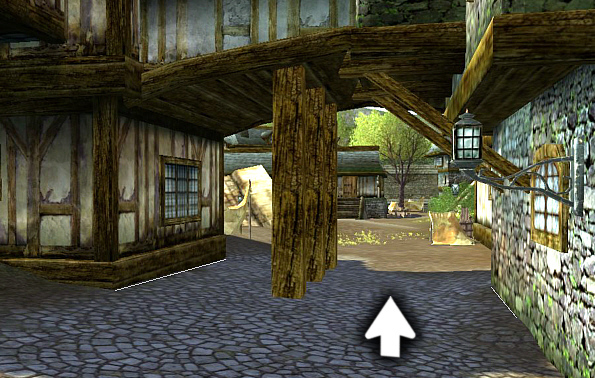 This will take you through the Oldstones Ruins. 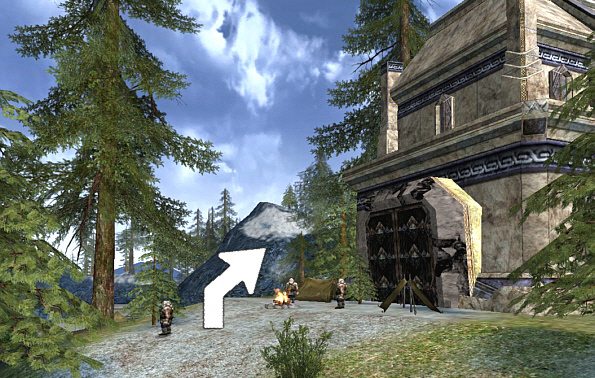 Checkpoint Two – Ride north between the guard building and the front stables at Bree’s west gate. You can jump the wooden fence or go through its gate. 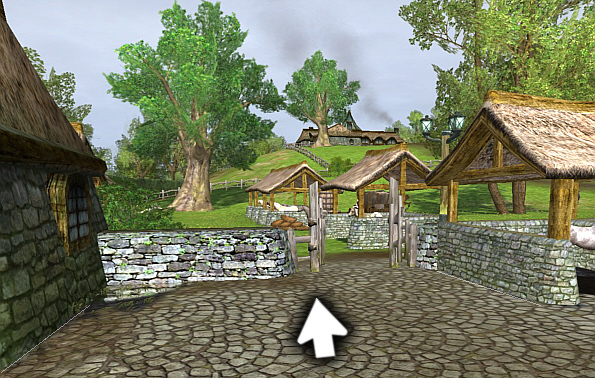 You do not need to pass between the other stables. 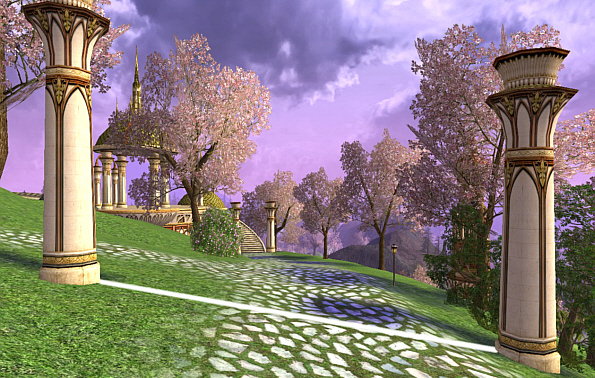 Checkpoint Three – Pass clockwise around the tree at the top of the hobbit hill, to the right of the dirt path. 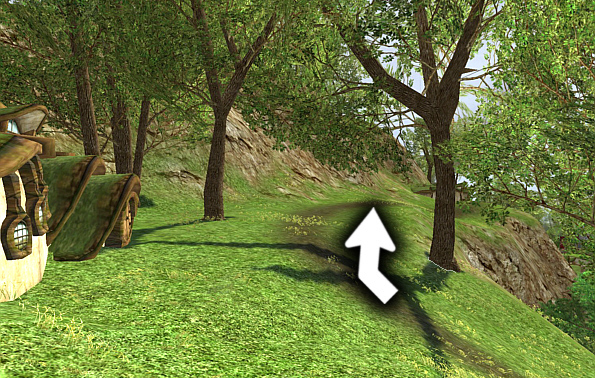 You should pass the tree by at least a horse-length or the judge may not be able to verify that you cleared this checkpoint correctly. 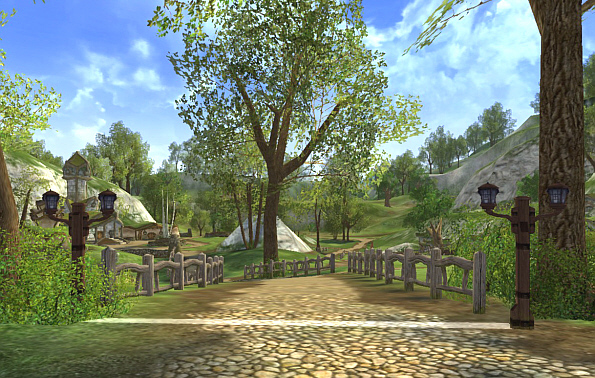 Checkpoint Four – Ride south through the Trader’s Gate, which is south of the boar fountain. 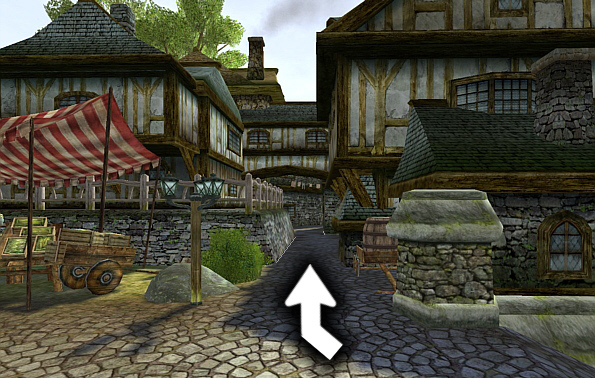 Checkpoint Five – Ride south through the narrow alley that connects the road to the Staddle gate with the road passing Bill Ferny’s house. 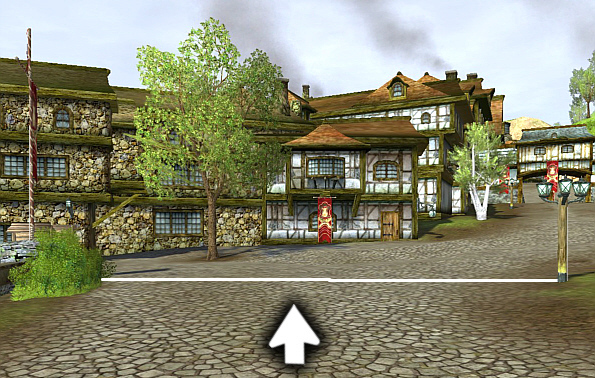 The finish is an imaginary line drawn between a street lamp and red banner pole on the northeast corner of the Town Hall courtyard, next to a guard post.